Anyone who's ever tried to take a perfect snapshot of their latte art should feast their eyes on photos and videos published on the Instagram account ibrewcoffee. Mason Salisbury is the barista behind them, documenting the mesmerizing art of food dye in coffee foam. Salisbury works at Sambalatte in Las Vegas, Nevada, and while his colored lattes look cool, they also help him train upcoming baristas. 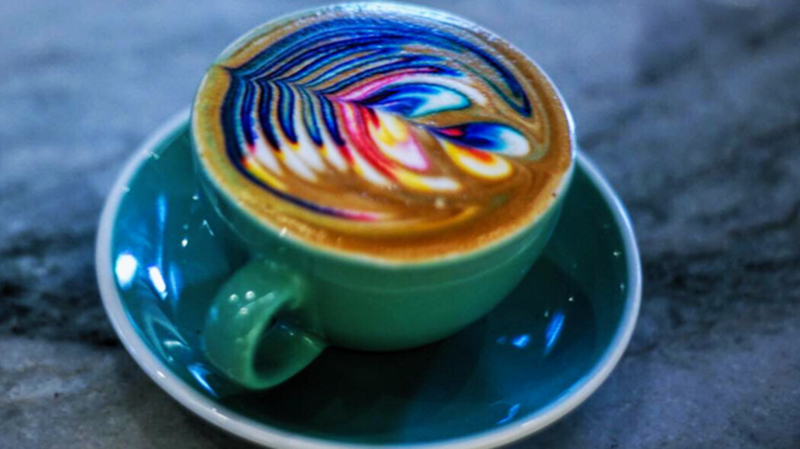 So-called "free pour latte art" requires a steady hand and careful movements, and the colors help trainees practice pouring perfect latte leaves every time. You can see more of the multi-hued javas on Instagram.